How ironic… In what was to become known as the worst financial year in U.S. history, it is interesting to read The New York Time, January 3, 1929 front page article headed: “Stock Market Opens 1929 With Buying Rush; 5,413,610-Share Day Stirs Hope of Big Year”. Could they have been more wrong? It sure is good this NY Times writer was not graded as a Hebrew prophet – or he/she would likely have joined the throngs who brought about their own demise in late October of the same year during The Great Stock Market Crash of 1929. Today I traveled to Salt Lake City, Utah, by the way of the Deseret Semi-Weekly News, February 3, 1913. 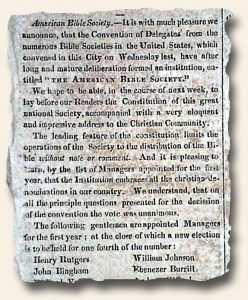 There I found that on this very same date, the Sixteenth Amendment to the United States Constitution had just been ratified by the voted received from the Wyoming legislature. This amendment now established Income Tax as a provision of the Constitution. 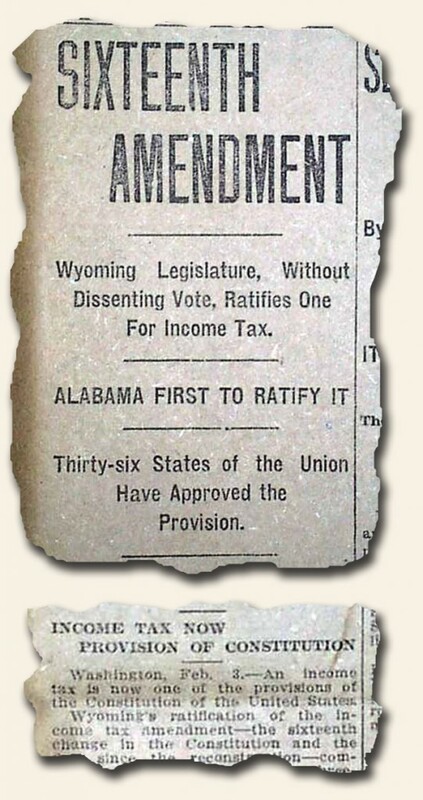 This passing, which required a three-quarter of the Union approval, took a long time to occur as Alabama was the first state to ratify the amendment and that was on August 10, 1909! Now with this information, enjoy your remaining seventy (70) days of the tax season. April 15th will be here before we all know it!